Are you looking for a better way to decorate your backyard? If so, you might want to consider using fire rocks. Fire rocks can be a beautiful addition to your yard — especially if you use them in a fire pit or water feature. Not only do they look great, they also conduct heat more effectively. This post will show you what fire rocks are, and how to use them in your fire pit. Fire rocks are made from lava rock. It is molded into different sizes and shapes. They are typically used to retain heat without giving off smoke or undesirable odors. These rocks are normally used in gas fireplaces and fire pits. 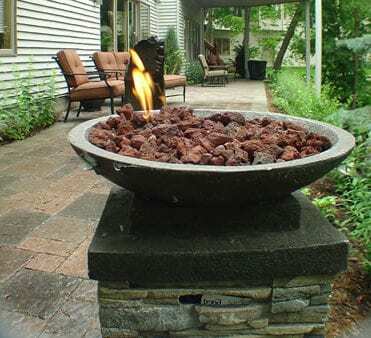 One of the benefits of fire rocks is that they are aesthetically pleasing, and they are an effective means of distributing the flames of fire pits. They are manufactured in different shapes, colors, and sizes. These rocks function as a hard sponge. It’s a porous substance that allows other substances to flow through it. This includes fire, but it can also be used for water. They are great decorations for water features in your yard. Fire rocks are lightweight, which means they do not create hassles when you need to move them. They are easier to clean up than gravel and stone. They can even be used in flower gardens. If you spread them out on the ground, it won’t receive direct sunlight. This means the soil will retain water more efficiently. It also retains heat better, which means your soil will stay warm. Fire rocks are a great way to decorate your outdoor area. In your fire pits, they can create a relaxing atmosphere. One of the main benefits of fire rocks is that you don’t have to worry about them being damaged by the flame. They conduct heat in a way that gives you a comfortable place to sit without tons of smoke or odors. Adding fire rocks to your fire pit can improve your outdoor decor. One way you can add to the beauty of your fire pit is to frame it with permeable paving. This type of pavement allows fluids to flow through it. It is a porous substance with cracks through which water can run. This is helpful for the environment because it decrease surface runoff. It acts as a filter that keeps solid substances from sinking into the pavement. Permeable pavement can be used in your driveway or in your backyard. It is especially helpful when used around your fire pit. It is made from material that doesn’t burn, so you don’t have to worry about accidental fires. Additionally, it can save you money. In the state of Minnesota, you might be entitled to a rebate if you’re using permeable pavement, as well as other environmentally-friendly items in your home. There are many ways you can decorate your outdoor area. Fire rocks are an environmentally-friendly way to make your fire pit more effective. Moreover, you can also use them in an indoor fireplace. Consider purchasing some fire rocks for your home. They have many different uses that can help you create the atmosphere you desire. They are easy to manage and they will help you create a comfortable ambiance for your yard.